When it comes to The Legend of Zelda, there are undeniable gems and some absolute flops. Majora’s Mask, the upcoming remaster for the Nintendo 3DS, thankfully falls into the former of the two, and is widely considered one of the best Zelda games around. It’s also going to be the first game I pick up for my New3DS – and it looks like an absolute treat. The latest trailer for the imminent remaster isn’t that different from the first, but it does remind about one of the more unique features the game has. The entire title runs around three day cycles, as Link attempts to stop a ghastly moon from plummeting straight into Clock Tower and destroying all of Termina. It’s what keeps the game fresh, although I can’t help but feel it can also be a little frustrating. 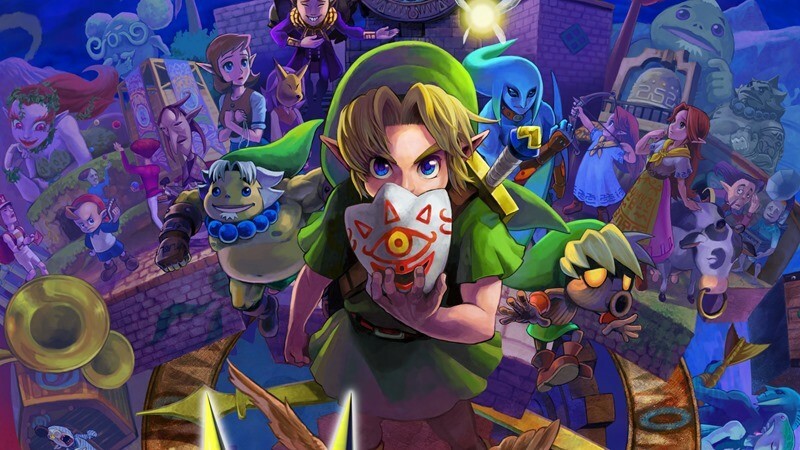 Along with that, Link will also be able to pick up and use various masks, which grant him access to unique abilities. As you can see in the trailer, one gives Link a little extra height and the ability to swim, while another lets him hop on water or glide through the air. As is tradition with Zelda titles, there’s many puzzles to solve, areas to explore and treasure to find. And don’t forget about the rather colossal bosses you’ll be going toe to toe with. Majora’s Mask finds new life on the 3DS on February 13th – the same day that the New Nintendo 3DS and 3DS XL launch locally.